Simplified Website Structure. It literally takes 30 seconds for you to launch a website that will have a full initial structure with all necessary plugins and widgets already pre-installed. You can start focusing on content directly. No need to be an expert in HTML coding or find someone who builds websites. WordPress has it all. Thousands of Well Crafted Themes. WordPress has in-built thousands of templates to choose from for any niche and you can download even more. All themes have nicely organized flow for you to build categories, pages and posts. Also you can always change your theme and re-organize your content. This is all done within Web GUI, HTML coding is written behind the scene. You have all Fancy Plugins and Widgets. You can categorize and personalize your website in many different ways and styles. There are many plugins and widgets that WordPress already has and you can get even more. Also WordPress constantly updates their plugins to ensure your website is never out of date and has the best appearance at all times. Easy to Manage and Update. WordPress website can be easily managed from admin location. Writing pages and posts is very easy. Good tools to create tags and different categories. Data written via posts can be archived chronologically and comment section makes it very easy to interact with audience. Very simple tools to create and organize menus and widgets. WordPress Community. If you didn’t know WordPress is an open source project maintained by a huge community of people who share ideals on how to make user experience better, websites more secure. This is also the reason why there are so many new Themes and Plugins being continuously added to the WordPress project. All this means for people with absolutely no technical web ground website creation becomes very easy. Mobile Friendly. WordPress websites are mobile friendly for all mobile platforms. This was a big problem in the past with many websites. Backup Your Website. There are plugins for you to backup your WordPress website. This means all your valuable data can be safely stored either on your local disk or in off-site location (cloud backup). WordPress Has Been Around Long Enough. This means it is safe to build your website with WordPress which will be free of bugs and security glitches. 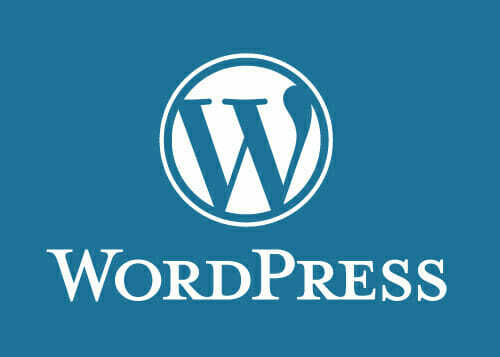 This also means WordPress community constantly innovating by adding more features for you to manage your website. Publishing Simplified. You can write your content and save it in draft or publish it immediately on the web. This will make your content available immediately. WordPress also saves all your revisions making it possible to revert any changes if necessary. You can create your 2 absolutely FREE websites with SiteRubix and they are yours to keep. You can also point your FREE website to your own domain with NameCheap for only $9.95 a year. Please leave me a comment below if you have any feedback or questions.